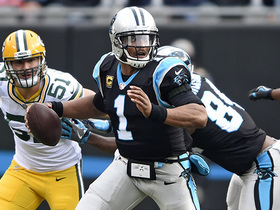 Jones appeared in 13 games and started five for the Packers in 2018. He finished the year with 55 tackles (40 solo), a sack and two pass deflections. 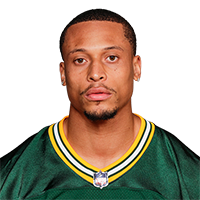 Analysis: Jones tallied only three tackles over the Packers' first seven games, but his role increased the rest of the way, and he finished the season tied for third on the team in tackles. It remains to be seen what type of role Jones will play in 2019, but his ability to rack up tackles will make him an option in leagues that use IDPs if he winds up with a starting spot. Jones tallied a season-high 12 tackles (six solo) in Sunday's victory over the Jets. Analysis: Jones easily surpassed his previous season best of seven tackles, and is now up to 52 tackles (38 solo) over 12 games in 2018. Jones posted five solo tackles and a sack in Sunday's 20-17 loss to the Cardinals. Analysis: The second-year safety brought down Josh Rosen for his first sack of the season. Jones has recorded 14 tackles over the past three games, and he'll look to add to that total against the Falcons on Sunday. Jones made five solo tackles in Sunday's victory over the Dolphins. 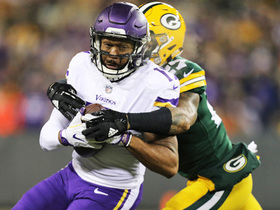 Analysis: Jackson saw his first extended action of the season in Week 9, and he was even more involved in Week 10, playing 89.7 percent of the Packers' defensive snaps. He figures to play plenty again in Week 11, and could even see his snap-count percentage rise again if fellow safety Kentrell Brice (ankle) is unable to go. Jones had six tackles (four solo) in Sunday's loss to the Patriots. 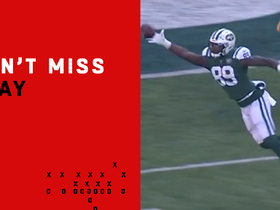 Analysis: Jones was on the field for just four defensive snaps all season prior to Week 9, but he saw a major boost in activity due to the trade of Ha Ha Clinton-Dix during the week, the ejection of fellow safety Jermaine Whitehead in the first half of Sunday's contest, and the knee injury suffered by another safety, Kentrell Brice. 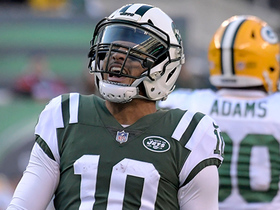 New York Jets quarterback Sam Darnold finds wide receiver Jermaine Kearse for a 29-yard gain. 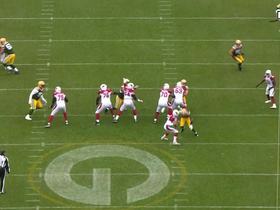 Green Bay Packers safety Josh Jones sacks Arizona Cardinals quarterback Josh Rosen for a loss of 8 yards. 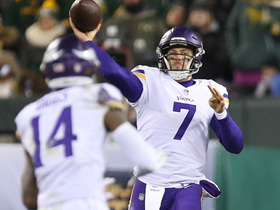 Minnesota Vikings quarterback Case Keenum throws to wide receiver Stefon Diggs who rushes for a 17-yard gain. Minnesota Vikings quarterback Case Keenum fires to wide receiver Jarius Wright for an 8-yard gain. Carolina Panthers quarterback Cam Newton swings a pass to running back Christian McCaffrey for 20 yards. 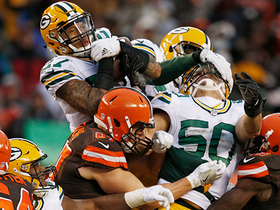 Watch the best plays as the Green Bay Packers defeated the Cleveland Browns in overtime. 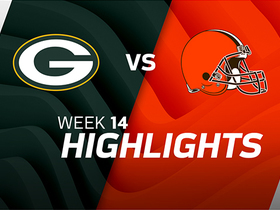 Green Bay Packers linebacker Clay Matthews hits Cleveland Browns quarterback DeShone Kizer's arm and Packers safety Josh Jones comes down with the pick. 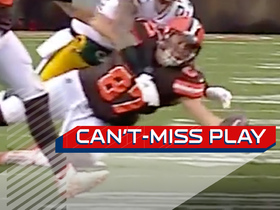 Cleveland Browns tight end Seth Devalve makes incredible one-handed diving grab. 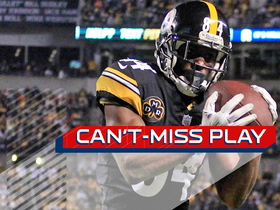 Pittsburgh Steelers wide receiver Antonio Brown makes toe-tap catch for a 23-yard gain.